The European Commission published a Report on the telecommunications market in the EU, providing both economic and regulatory information with regard to the each Member States as well as to the EU in its entirety. The report show strong discrepancies within the EU, especially with regard to BB penetration and NGA roll-out. However, the overall feeling of the Commission seems positive: “… investment in the field starts to grow again, data traffic is growing quickly, together with an increase in VoIP calls“. The Commission remarks a decline of revenues in the period 2010-2012 (from 327 to 323 billion). The report does not specifically analyze the background for such trend. However, it seems to me that the revenue’s decline is due to a combination of factors: on one side, it is the result of previous regulatory decisions (price decrease for mobile termination and international roaming, in particular), on the other it is caused by market trends as substitution of traditional cash-machine services such as voice and SMS by corresponding free Internet services (VOIP, chats, ecc). The emergence of Internet mobile access has not compensated yet the value destroyed by the OTT concurrence. One could argue whether such figures are positive or not for the telecom industry: for sure, this is the sign that the time for the easy-money is gone and telecom operators must now face a fierce competition. The new reality is particularly hard for historical incumbents and dominant mobile operators which for ages have relied on high margin services such as PSTN voice and sms. La festa è finita. The consumers seem to be the winner of this trend, because the decrease of revenue of telecom operators basically means that the price of many basic communications services has fallen (in some cases to zero). More controversial are the data about the investments. In the last years the Commission repeatedly maintained that telecom investments in the EU were slowing down, and this failure justified a radical regulatory change announced by Commissioner Neelie Kroes in July 2012. Despite of that, the data of the current telecom report show that investments in the sector have been stably growing (in the period 2010-2012) from 38 to 42 billions. The fact that European BB market was healthier than expected had been confirmed also by the European Parliament as well as by Berec in its critics to the Connected Continent proposal of Commissioner Kroes. If the above is not challenged, one would wonder on which basis the European Commission in 2012 changed radically its regulatory agenda, since the main problem to fix – the huge lack of investments – did not exist. 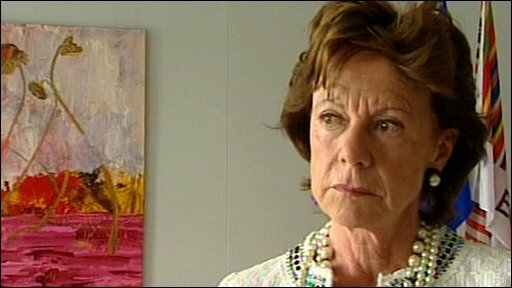 To remind the facts, in July 2012 Commissioner Kroes announced that she intended to “stabilize” the cost of the traditional telephone networks (the ones based on copper and builded over 50 years ago with money of tax payers during the monopoly era) in order to secure cash-flow to incumbents and provide them with sufficient money to invest in new fibers networks. At the same time, the higher costs of the traditional copper network had incentivized new altnets to desist accessing that network while building new ones. In other words, the stabilization (namely: increase) of the copper network price would have somehow encouraged both incumbents and altnets to invest in new fiber networks. The strategy of the Commission was however challenged by many: first, with copper networks become even more rentable, incumbents would have stopped or slow down investments in fibers, in order to avoid cannibalization of the copper profits. Secondly, the matter is quite tricky with Altnets, since the equation “build or buy” is too simplistic. The increase of copper price would have probably helped some fiber deployers, but many Altnets would have been unable to make the with because too expensive. In truth, Kroes’ move in 2012 had nothing to do with investments, it was rather aimed at securing cash-flow for historical incumbent operators, with the scope to protect them from the financial crisis and from extra-Europena take-over. The lack of investments claim was just an excuse to justify a dramatic regulatory overturn which, at the end, just helped big telecom operators to surf and survive the financial storm.